I recently downloaded an app on my phone that asked for a number of permissions. In my work I know that developers have to be cautious in identifying how an app either could or would interact with your phone, and therefore privacy. 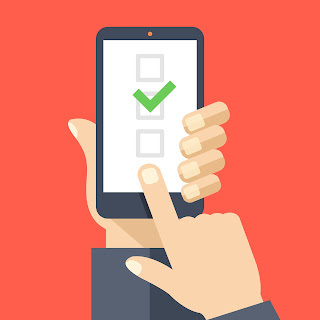 For the most part, apps request permissions for intuitive things: your phone's camera for image-sharing programs, your location for geographic searches or tagging, your name or address data for auto-fills on sign-up forms. But because I've become so used to permissions and privacy talk, I have to admit that on occasion I don't always drill down to investigate each and every iteration of permission-giving and the actions behind it. Can you guess where this is going? What I didn't realize when I downloaded this app was that when I created an account with the company online, it replicated my account on the smartphone app—however, I was given entirely new preferences for mobile usage. While saving my searches across platforms is one thing, automatically assuming that because I'm on a smartphone I'd like to be updated at all times in every possible way about my search results is quite another. Soon I was receiving notifications more than daily—based on my GPS location or updates to the items I'd saved. The problem here stems from the fact that the program was trying to be too smart: It recognized that I was on a mobile phone – therefore I was easy to reach and perhaps open to GPS notifications of when I was near a shopping opportunity. But in over-anticipating my needs and never stopping to ask when or how I wanted to know relevant information, it failed to be intelligent about my wants. Preference management, the active collection, maintenance and distribution of unique consumer characteristics, such as product interest, communication channel preference and frequency of communication, is essential in cross-platform permissions. While it's enticing to automatically sign customers up for every option under the sun, it ultimately creates a backlog of unwanted notifications that leave a bitter taste in consumers' mouths. What did I do? After a few days of swiping away screens full of notifications, I opened the app and went straight to the program's settings. What I'd been given was intrusive and ineffective, but re-setting my preferences allowed me to personalize the app for the engagement and intelligence I was originally expecting. I unchecked nearly every box, all of which had been automatically chosen for me. Problem solved – thankfully.